Hey everyone! 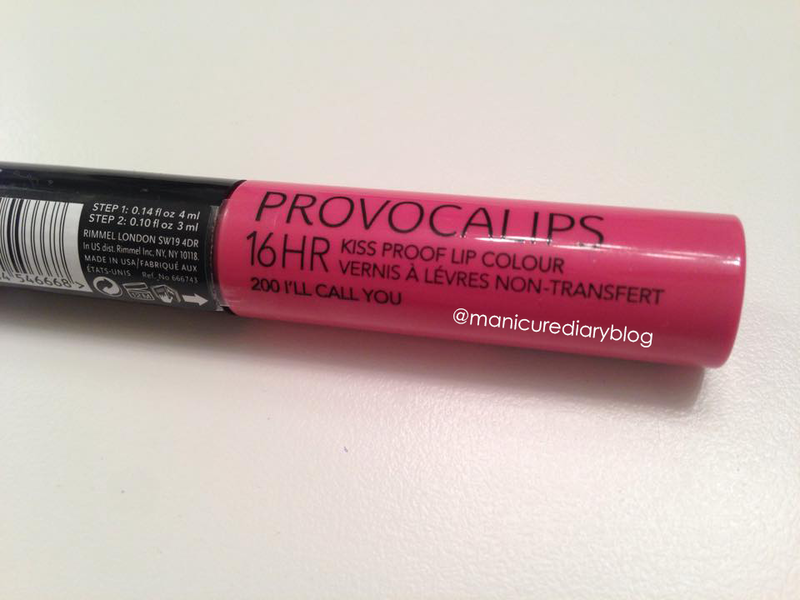 I've been hearing great things about Rimmel Provocalips 16 Hr Kiss Proof Lip Colour so after checking out swatches online I picked up I'll Call You. 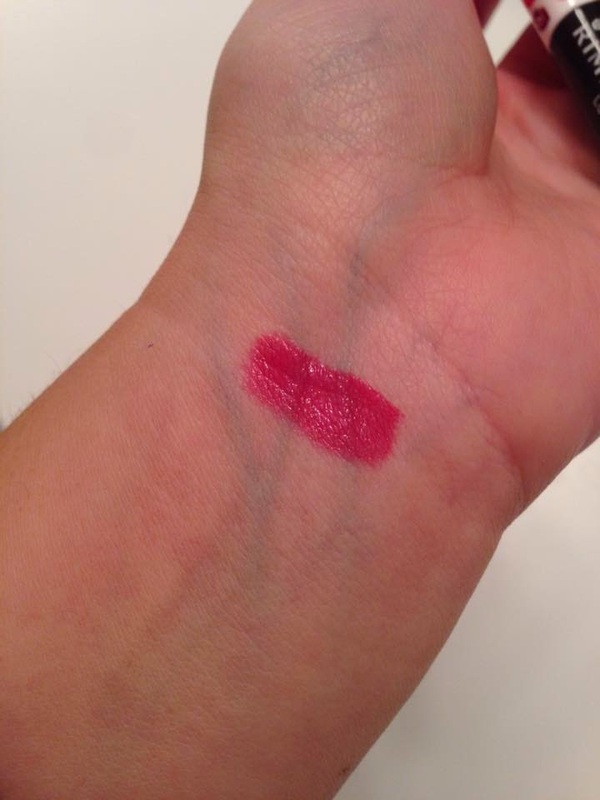 This is a really wearable and pretty mauvey pink shade. First of all let's talk about the packaging. SO CUTE! I love the little different colored smooches. This is a dual ended product and each side has a doe foot applicator. The first side is the color, which is a little runny so you'll want to scrape extra product on the side of the tube before you apply it. Try to work quickly as it sets in under a minute. 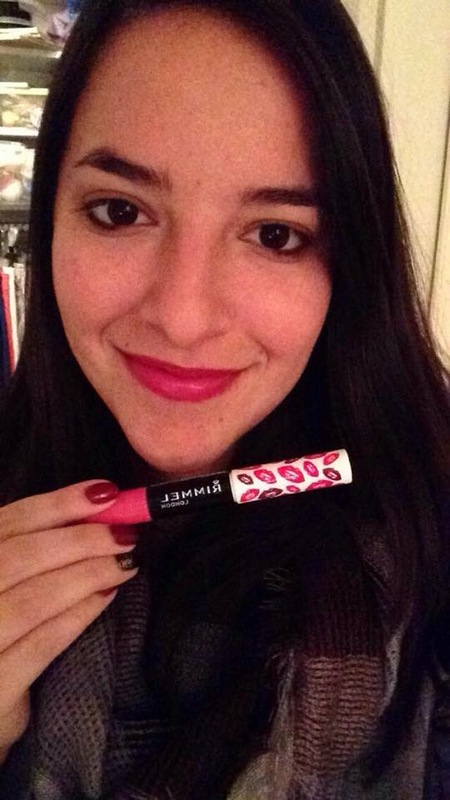 DO NOT rub your lips together after 60 seconds because your lips are going to be pretty tacky before the topcoat. I made this mistake and messed up my paint job! The second side is the topcoat, which is used to lock in the color. Kinda like nail polish, huh? After applying the topcoat my lips felt super smooth. It really didn't even feel like I was wearing anything on my lips because the product is so lightweight. Here's a swatch of I'll Call You on my wrist. 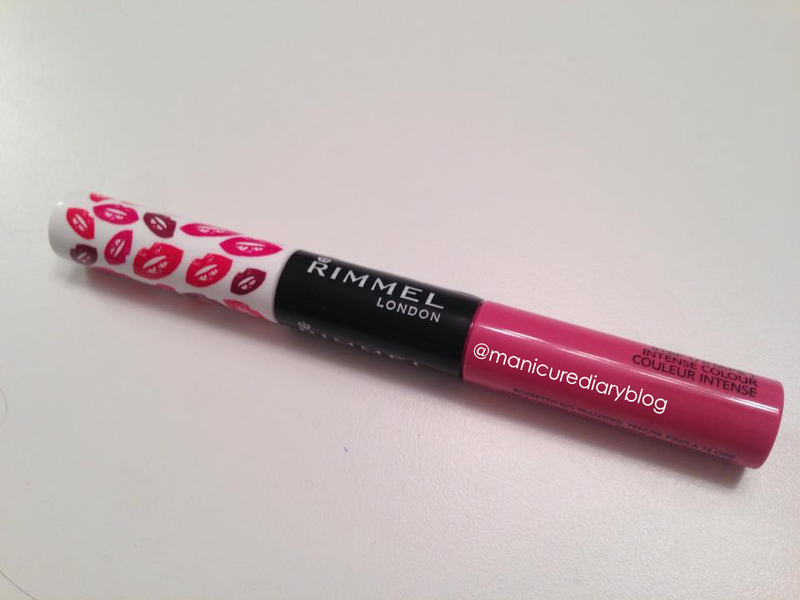 Rimmel claims that this product is kiss proof, transfer proof, and food proof. After wearing it all day I can safely say that this stuff does not budge. You even need to use an oil based makeup remover to take it off! Here it is on my lips. I wore this shade all night and it stayed put! 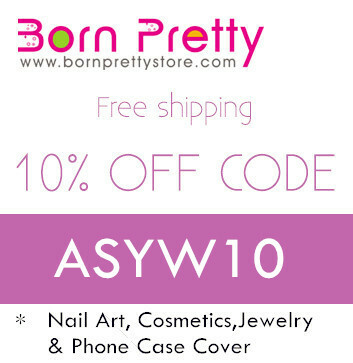 Overall I am super impressed with this product and can't wait to pick up a few other shades. I think Make Your Move is the next one on my list! At around $6.00 a piece (less with a coupon!) these are a steal especially because of the quality.